bike-girl, originally uploaded by SjonSjine. While we'll have you believe any day of the week that Copenhagen is the world's leading bicycle city, there are other cities out there where the female citizens lead the way in maintaining a solid bicycle culture. This photo is from a fellow Flickrite - Sjonsjine. 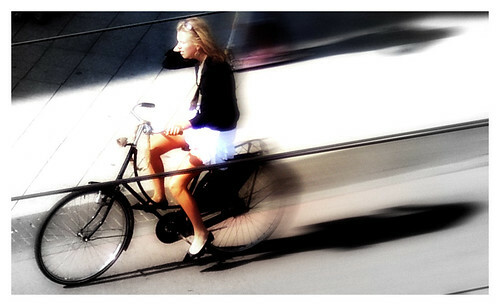 Wonderful sense of speed, motion and mood from the streets of the Dutch capital.